It's less than an hour's drive from the CBD, yet so many Sydneysiders haven't stepped foot in the pristine 15,091 hectares of bushland that lines the coast south of Sydney. Whether you want to swim, trek, picnic, swim, bike ride, swim or just GTFO of Sydney for the day, the Royal National Park will provide an outdoors, adventure-filled day out. While driving is the easiest way to access the Park, the ferry from Cronulla is much more picturesque and endearing. A single ferry – which is Australia's oldest commuter ferry, the ‘Curranulla' – motors back and forth between Cronulla and Bundeena, departing on the hour, daily. Once you're at Cronulla station walk under a tunnel and towards the marina. You'll see a small pier – it doesn't look like your typical transport hub. Keep your eye out for the wooden yellow and green boat and make sure you have cash with you to buy your ticket. Hop on and you'll be in Bundeena in just over 20 minutes. The full Royal coastal walk is 26 kilometres and takes two days – but you can explore portions of it to get a taste of each part. 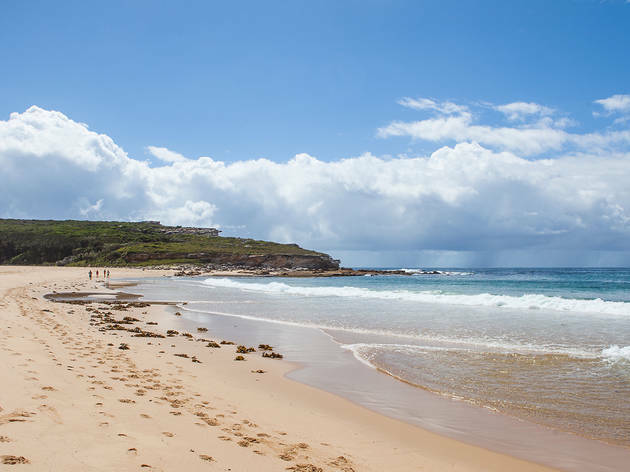 Starting at Bundeena and walking to Little Marley Beach is a great option for first time National Park adventurers. It's easy enough for inexperienced bushwalkers, but still offers beautiful vantage points, a mixed bag of terrains and plenty of happy snap ops. The route navigates winds along the coastline, taking you over sandy red soil, through scrubby bushland and along the sandstone cliffs. Make sure you take plenty of water. We'd highly recommend packing your own picnic too. This lagoon is a top spot for picnicking, swimming or bringing that oversized inflatable to lay about in the water on. This primo lagoon is popular with day trippers – and unfortunately in recent times it has become a bit of a dumping ground – make sure you follow the 'leave no trace behind' ethos and take all your rubbish with you and respect the beautiful spot. Or, even better, help clean up after less considerate visitors too. This slice of Sydney coastline is one of the most Instagrammed spots in the region – its angled edge and white colouring makes it a dramatic feature of the coastal walk. It may not be around forever though – the nature of the rock's surface a means it's eroding and isn't stable enough to handle constant weight, and you're no longer allowed to step on its pristine surface. This beach break rolls out solid left and right waves. The north corner has good banks most of the time but you'll find it pretty crowded on weekends. Instead, stroll ten minutes south across the rocks, where you'll find an ace left point break. If you're lucky you may bump into one of the local friendly seals, who are known to playfully mount surfer's boards while in the line-up. 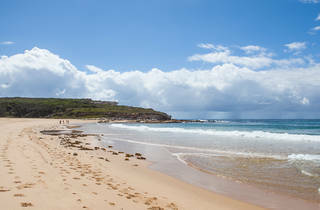 This secluded beach has rock pools, a fresh water stream (which leads to the Marley Lagoon) and crashing waves. The beach isn't patrolled so be extra careful while swimming. 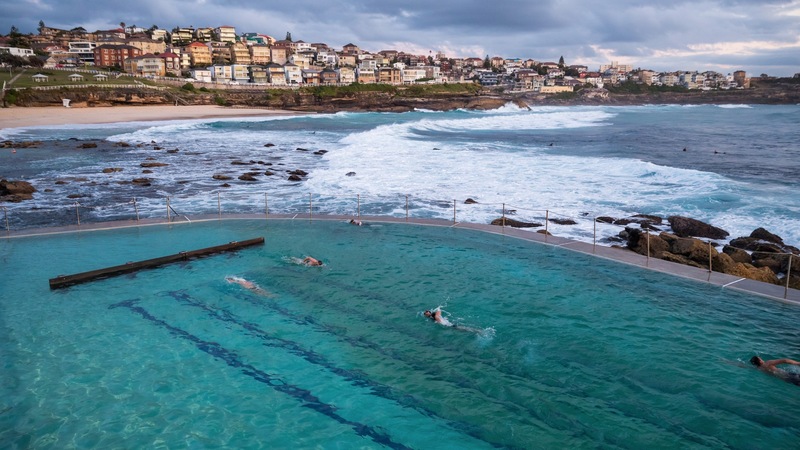 These beautifully formed rock pools attract a frenzy of people over summer, but on a bad day they've seen more than 50 people injured trying to reach the sparkling waters. If you are going to go, be smart – check the tides and swells and don't risk it if it's not safe. You can only access them at low tide, when the swell is small. Ignore TLC and go chasing waterfalls – the walk from Wattamolla to Curracurrong Falls is a scenic but slightly difficult hike. The creek splits into two streams, each flowing off into the ocean straight over the edge of the sandstone cliff – you can see a long horsetail display as it flows into the sea below. Make your way to the Park's nerve centre Audley, once the heart of the park's Victorian 'pleasure gardens'. Here you'll find the main visitor centre, spacious lawns, an old-fashioned dance hall and a causeway. You can hire a canoe or rowing boat from the Audley boat shed and head upstream to picnic spots at Ironbark Flat or Wattle Forest. 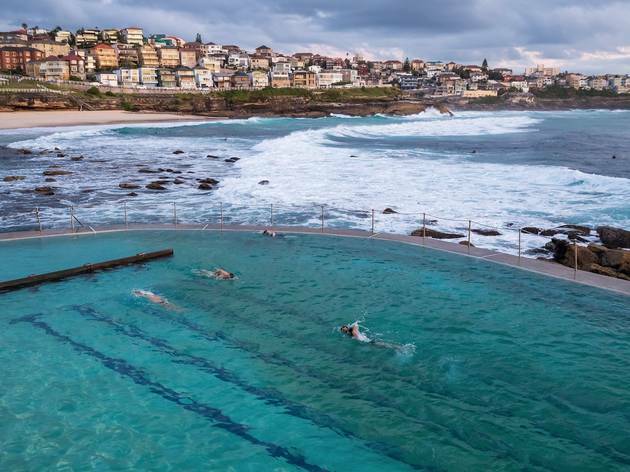 When you can’t choose between the beach and a swimming pool, these rocky swimming spots have the best of both worlds.